NGC 609 is one of the many small galactic star clusters located in the Milky Way in Cassiopia. It shines at magnitude 11.0, is 4 arc minutes in diameter and contains over 100 stars. Photo: Hubble telescope. Captioned above is one of Hubble‘s most famous and beautiful space photos. The photo features NGC 609 – a magnificent star cluster, which Hubble captured complete with colored gas, dust and a slew of stars of various brightness. Pictures like these remind people of the tremendous gift they have – sight. 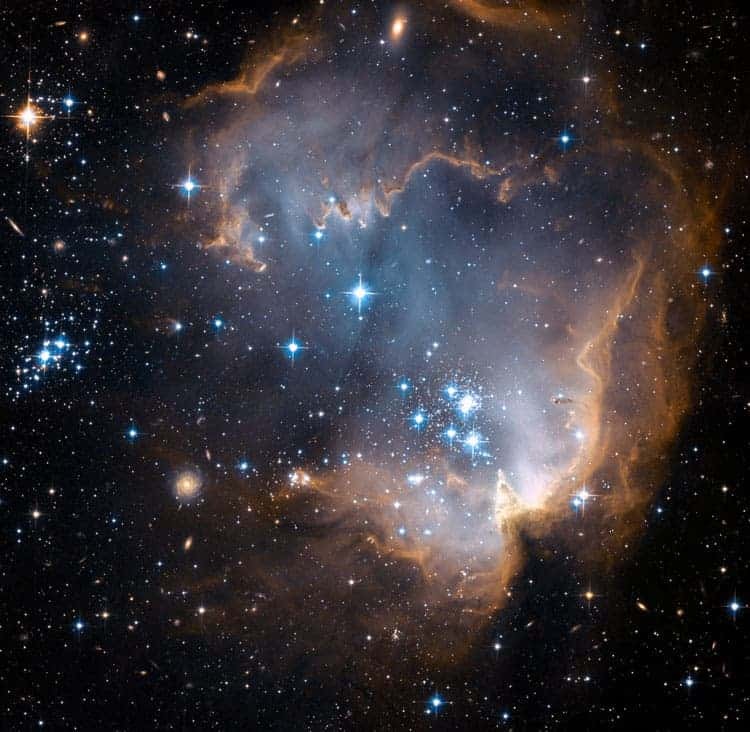 How can one share and hope to convey a fraction of the stunning beauty one experiences when looking at pictures like NGC 609 to those less fortunate, deprived of sight? The full valor of visual beauty may never be reproduced to the blind (one can imagine however relaying electrical signals through an EEG directly to the brain, creating an accurate mental picture. this is SciFi at the moment, however), nevertheless some scientists are trying their best. 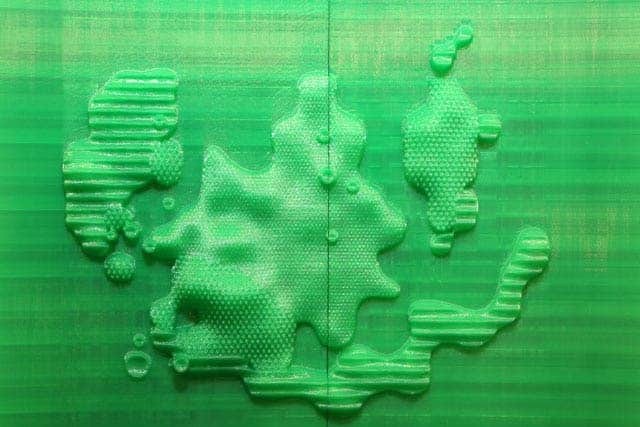 A team of astronomers and computer engineers at the Space Telescope Science Institute in Baltimore, Md have made 3D printed models of NGC 609, specially designed so the blind can have a mental picture of how the star cluster looks like using their sense of touch. Some 100 volunteers aged 8 to 81 were asked to give feedback, and eventually a rather accurate tactile model was made. Made of plastic, the models includes features like stars, gas and dust differentiated not by color or other visual cues, but through texture. The varying heights of the features correspond to varying levels of brightness. Still, these model are representations of flat, 2-D images. A fantastic upgrade would be making a 3D spherical model of NGC 609, if the various technical and artistic challenges are overcome. “Our ultimate goal is for anyone who would like to hold a piece of the universe in their hands, can get the data files that we will process from the Hubble archive, and they can print them at home, at school, or in a library,” Christian says.